Grace means to get something that you do not deserve; unmerited favor. Mercy means you do not get a punishment that you deserve; compassion, forbearance. God is abundant in grace and mercy and we can read about it in the Bible. His greatest act of grace is the gift of salvation that is available for all people through faith (Eph 2:8-9). When the gift is accepted, eternal life is promised to the recipient. 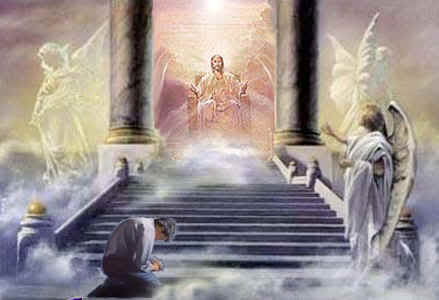 This eternal life is a promise of a home one day in heaven with God. The promise to the believer is sealed with the Holy Spirit as a guarantee that one day Jesus the Christ will return to earth to claim His purchased possession (Eph 1:12-14; 4:30). Jesus purchased every sinner with His own blood on the cross at Calvary. You can read more about the grace of God and the Savior Jesus here. Following are twenty inspirational Bible verses about grace. John 1:15-17 (John bore witness about him, and cried out, “This was he of whom I said, ‘He who comes after me ranks before me, because he was before me. '”) And from his fullness we have all received, grace upon grace. For the law was given through Moses; grace and truth came through Jesus Christ. Bible Verses By Topic– Check out this list of different Bible topics with a set of verses for each topic. 101 Proverbs About Money– An extensive list of great verses related to money. thank you very much for the lesson you have given us.may God bless you and give you many days. I looked through many websites and found lots of ideas about grace but this one has been the most inspirational. I will suggest this to my 3rd grade Bible class. I strive to help them learn the different characterists about our God and Savior. This weeks homework was to find as many verses about God’s grace and choose 5 that were to most meaningful to them. Thank you. Hi Nina, Thank you for the words of encouragement. I am most inspired by grace for without it I would not know my Savior! 3rd graders searching the Bible … you are a woman after my own heart! Thanks again for stopping by WCWTK and for taking the time to comment. Blessings to you! So happy you liked the article Lewin, thanks for taking the time to comment here at WCWTK. Stop in again, we post something new every day. Blessings! I am starting a bible study, and my first topic is “Grace under Fire” I am new to all of this and I was wondering if maybe you could lead me to some verses that had to do with maintaining calmness and discipline when being “attacked” I am having a hard time “googling” that…. Amen Martin! Our God is WONDERFUL indeed! Thank you for this. I am a 28 year old mother of 2 and last year I was struck with H1N1 29 weeks preg with my daughter Nevaeh. They didn’t think we would make it I was put on lifesupport and in acoma for 2 months I was also hooked to an ECMO machine feeding tube had a Trach and given 32 units of blood. Well this past year my faith has been shaken but I just keep reminding myself it was by the Grace of GOD my daughter and I are still here. OUR GOD IS A VERY AWESOME GOD!! Thank you for these and may God Bless You. 19 And we have the prophetic word [made] firmer still. You will do well to pay close attention to it as to a lamp shining in a dismal (squalid and dark) place, until the day breaks through [the gloom] and the Morning Star rises ([a]comes into being) in your hearts. We thank God for grace to study his word,and i pray that the all mighty God will grant more grace to the author of this site,in Jesus name. Thank you for sharing this Kennedy. Thank you very much for making christianity possible and easy through abundant grace in Christ Jesus. I’m highly edified by this lesson. I can beat my chest to say I’ve got God’s Grace. I shall share it with brethrens in the fellowship. May the Lord continue to inspire you the more. Keep praying for me specially, please. It is 2am and in doing my search I stumbled on youre site thank you so much for sharing, I am new to the Christian Faith and your words are enlighten. Iam also greatful to you for this information about grace,more grace to your elbow in jesus name amen. You have so many great verses here about grace! Thanks so much for writing this list! I don’t know if I missed it or something but is there a subscription where I can get daily emails of bible verses and other things to keep me biblically rooted ? If so please let me know. Thanks for visiting WCWTK. Blessing! If Grace is “the unmerited favor of God,” How can it be said that “Grace came through Jesus Christ”? Didn’t Christ merit every bit of Gods Favor? Didn’t Christ need Grace? Isn’t there a distinction between new covenant Grace and old covenant Grace? It would benefit this study if Romans 6:14 were included. ” For sin shall not have dominion over you for you are not under law but under Grace.” If we simply define grace as the unmerited favor of God, there is no distinction between the new covenant age of Grace and the old covenant age of Mercy. Surely Moses received the unmerited favor of God. If Grace is getting something you do not deserve, the whole world is under “Grace.” We could say “common Grace.” However this saying is not found anywhere in the scriptures. Hi Christopher, Thank you for your questions and comments. I have never heard anyone ask the question if Christ needed grace. Why would He … He is God. The Bible teaches that grace comes by faith (Eph 2:8-9) … faith in what Jesus did at the cross. We are now in the age of grace … some would call it the Church age or even the dispensation of grace. Grace was not extended to anyone before Christ. Moses and other Old Testament people had righteousness accounted to them by faith (Hebrews 11). Today, after Christ, the whole world has the opportunity to receive God’s grace by faith. You can call it common grace if you like because indeed God extends it to everyone in common … it is offered to whosoever, the world, all, any and every one (John 6:51; John 10:9; Acts 10:36; Rom 3:22; 1 Cor 15:22; Matt 10:32; Matt 10:33; Matt 16:25; John 3:15; John 3:16; John 11:26; John 6:40 KJV). I agree you will not find “common grace” in the Scriptures. I stand by my definition that grace is getting something that you do not deserve because none of our righteousness is good enough to earn a place with our most holy God in his holy home of heaven. We don’t deserve what Jesus did for us but I am sure glad He did because I am a sinner saved by grace. I love His grace. I wish that I had a book with all of these scriptures. GRACE is to expect goodness through the promise of JESUS CHRIST, exempting you from effort and toil to be right before a holy GOD! What God pours out most upon us daily is not judgement or condemnation but Grace, his most abundant gift to us. It’s what I see. Not people being dragged to hell, but grace, Love. He sent His Son to love us. Thank you for taking the time to reply. I agree whole heartedly that everything in the Christian life is un merited and a gift from God. My concern then is that the word Grace becomes so broad in it’s definition that it is of little practical value. I believe Jesus needed grace because he was made like his brothers in all ways, and yet never sinned. He us called our forerunner, running the race befor us. Our example. When Gods word says he denied him self and did the will of the father he did that as a man and not God. How could he be our “forerunner” if we could not follow after him. The humanity of Christ is a great mystery and I do not pretend to understand it fully. However there lies the mystery of holyness and the true Grace of God which was seen in Christ. Why did Christ need Grace? We could ask the same question about his baptism. To identify himself with sinners. And open the new and living way for us to follow him. Thank you for posting my comments, Grace be with you. Thats why They call Grace AMAZING!!! It’s ALL HIM!! i am in a contract for six months and this is my last month and they havent said any thing each and evry time when they set up a meeting they cancell it wothout any valid reason now i dont know what will happend i need God’s grace for a permenant job. i went for a convection on passover weekend and we were being thout of God’s grace uapon us. I thank God Almighty for the divine grace that is so surficient upon my life and my brethrenin the Lord as well, Please I will like to ask what are those things that can hidden the grace from coming to one’s life? Grace is about the doings of an Unfathomable God. It is about Divine Possibilities. I’m a married father of 8 children. I am the only one who is Christian. I used to belong to a cult and my wife and children still belong to it. Their cult teaches that God’s grace is not sufficient, that our personal works are required in addition to God’s grace. This used to drive me insane, because I never knew how many works were enough to obtain God’s forgiveness and it was one of the reasons I left the cult. Tonight I’m going to teach my family from the Bible and I’m going to use your introduction and the scriptures you cite from the Bible in my lesson. I’m not going to tell them they’re wrong. I’m simply going to let them know what the Bible says and I’m hoping they will figure it out on their own. Hi pam,thanks alot for this they are lovely.was actualy planin to present a song in my church.the song titled grace by michael w smith.thanks for giving me d idea of grace.i apreciate alot. I am preparing a Bible Study lecture note, on Grace. By studying your write up on Grace, has increased my knowledge & the depth of His love for me unworthy sinner & I now appreciate Him better. Let God be true and all men liar..,my fiancée was having doubt if I would have delay in conceiving cos I was diagnosed of having fibroid but I know God would proof him wrong beyond all imagination.This word of grace keeps me going and I would testify. Wonderful scriptures on grace. I just stumbled upon a powerful grace quote: “Do not be fulled, the Lord’s grace will take you places hustling can’t”! Praise the Lord,Hallelujah! To God be the glory for the above resources received today by the grace of God. Brethren what exactly are you using yours for?may you live righteously with yours …..expecting the coming of our Lord! I have been a Christian for many years. Always knew we weren’t saved by works. But because of my upbringing, I didn’t realize I always felt like I had to attain a certain standard of living before I could receive the grace of God in every area of my life until I only recently heard someone talk about this. It has set me free to receive every gift of God that He offers to us. There is never going to be anything we can do to earn His grace. Jesus already paid it! When He gave His life for you & for me! Am glad that,i found these wonderful scriptures, all along i needed, is to hear these special scriptures into my life. As you know in life, you can’t live without the grace of God and his mercy, Jesus is so great and mighty. Faith,Grace and Mercy, all becomes the bridge where we are and where we want to go,its a substance. Grace,each day is God’s gift to us. Thank you so much for your wonderful words ,which are so encouraging! God is always great. Hi I have a stupid question. I believe in God’s grace but I also believe that I need to seek God’s Will in everything and read the Word daily and pray. My question is what if a person attends church but doesn’t read the Word? Does this mean they have eternal life but live in disobedience because if we don’t spend time in God’s Word, how will we know Him better and what He is saying? I struggle with this and do not want to keep encouraging christians to read God’s Word lest I make His Grace seem insufficient which is really a sin on my part. Please can you help me with this as I follow God differently to some and do not want to harm their walk with the Lord in any way. Hello Ash. It is not a stupid question, but to me, a very good one and thank you my friend for asking it. If a person attends church but doesn’t read the Word of God, then they are losing a source of power from God Himself, for the gospel has power within it, as it is from God (Rom 1:16; 1 Cor 1:18) and it has the power to saved, but the Apostle Peter said it is like the Word is the “washing of the water of the word” (as he put it), but if you are living in sin, please read 1st John chapter 3 to see why this should concern you. I would speak with your pastor right away about this, for if a person has no assurance, they indeed may not be saved. Some are and still doubt, but a person who lives in sin lives contrary to how the Bible describes a true believer. You must warn this person that they cannot have any assurance of their entering the kingdom. Jesus said we must repent and believe (Mark 1:15), not sin and not read the Word. That is just the opposite of what Jesus told us we must do. Sometimes, you must offend in order to convict them by God’s Spirit. If you are too concerned you might harm their walk (which, by the way, is not walking with God), then they may never flee the wrath to come. Jesus said you will know them by their fruits, but are they fruits of the flesh, or fruits of the Spirit? I will pray God will give you the right words to say for God’s Spirit to convict them of their living in sin. Pam, thank you so much I think one of the very powerful scriptures on grace is this one 2 Samuel 9:1-13. David represents GOD while Jonathan stands for The LORD JESUS and Mephibosheth represents the sinner, the needy and incapacitated humanity, you and me. Thank you for your words of encouragement Pastor Achumba. Love the true story of Mephibosheth. My husband preaches a great message on that account of how we can remain like the “lame” Mephibosheth and wallow in our misery, or we can live like we are redeemed and blessed to have a seat at the table of Our Great God and Father. Thanks for the reminder of this great Biblical account. Blessings to you! Indeed we are justified by his grace. And his power is made perfect in us by his grace.